All images by Ian Knight - thanks to Ian for sharing these as I did not have time this year. The full set is now on OneDrive. 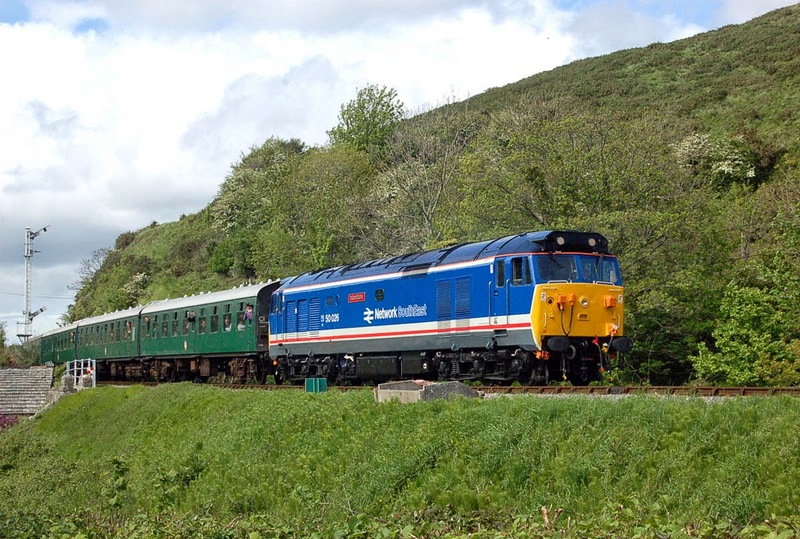 50026 Indomitable approaches Corfe Castle. 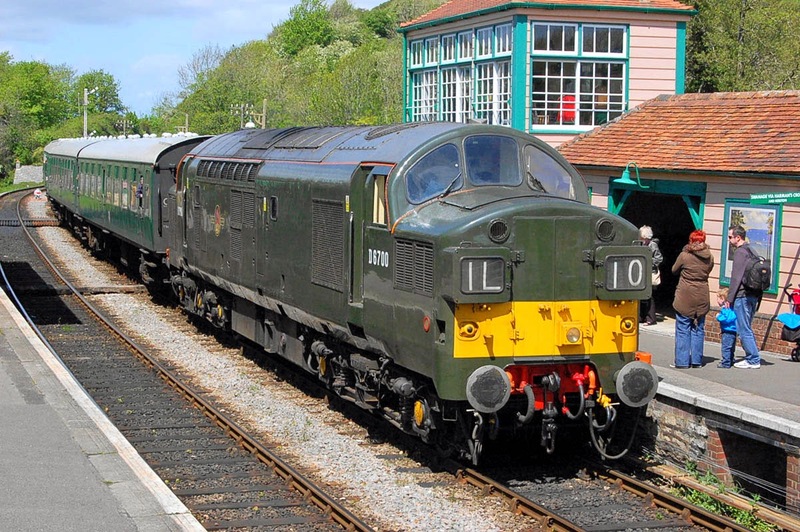 D6700 (37119 / 37350) arriving at Corfe Castle.